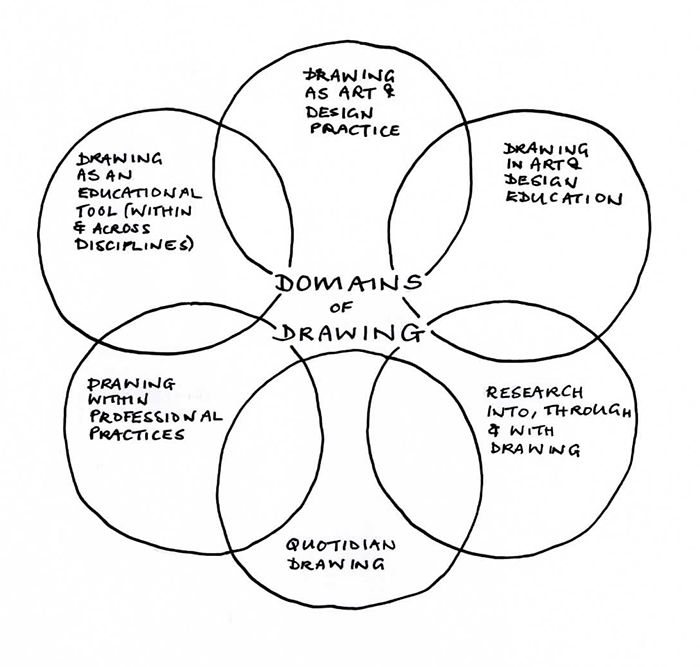 In the context of growing national and international interest in the relationship between drawing and cognition, perception, visual information, communication and the development of creativity, the Drawing Research and Enterprise Group provides a cross-school forum for critical and creative debate. Drawing research is multidisciplinary and has a range of interpretations and applications across fields. The Drawing REG focuses, represents, facilitates and promotes drawing research, scholarship and social partnership work in the School of Art and across other University of Brighton schools. The group seeks, sustains and develops collaborative drawing research and partnership opportunities with individuals and organisations externally. It nurtures a strong connection with the university’s doctoral and taught postgraduate community as an important resource through which new knowledge and applications of drawing are identified, articulated and disseminated. Our research themes are: Drawing, education and method, Drawing, health and wellbeing, Drawing, space and place. Tyler, P., 1 Apr 2018, 3, 1, p. 69-74 6 p.